Click: The Natural History of the Ball Python, Python regius: Ball Pythons in the Wild – Part 1, to read the first part of this article. This species is threatened across large areas of its range by collection for the food, leather and, in the past, pet trade. Today the vast majority of animals in the pet trade are captive bred. It is listed on Appendix II of Cites. Grassland rodents comprise the majority of the diet. Recorded prey species include cane rats, Nile rats, gerbils, jerboas, jirds and zebra mice. They also feed upon shrews and ground-nesting birds, and hatchlings may take lizards. Wild individuals often favor particular prey species, and may be difficult to habituate to commercially available rats and mice when taken captive. Ball pythons often inhabit areas subject to long periods of hot, dry weather, during which food is scarce. Animals in such populations may aestivate in mammal burrows or similar underground shelters for several months. It is theorized that the internal circadian rhythms of these pythons may be responsible for the long fasts that captive animals often undergo. Females produce typically 6-7 large eggs at yearly or less frequent intervals. Eggs are typically laid in abandoned aardvark or rodent burrows, and hatch after an incubation period of 3 months. In common with other family members, female ball pythons remain coiled about the eggs during this time, providing protection and temperature/humidity modification. Female pythons of various species have been shown to actively raise the temperature of their clutch by coiling about the eggs and “shivering”. In captive situations, I have observed incubating female blood pythons (Python curtus) and Burmese pythons (P. molurus bivittatus) to raise their eggs by 7F above the ambient air temperature. 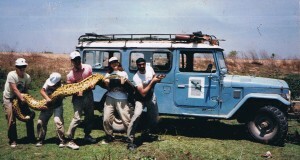 Field research conducted with ball pythons, however, indicates that incubation mainly functions to conserve egg weight by preventing water loss. The young measure 10-17 inches upon hatching, and reach sexual maturity at 3-4 years of age, by which time they are approximately 3 feet in length. Ball pythons are heavily utilized as food by people throughout much of their range, and are harvested for the leather trade as well. Until captive bred stock became widely available, huge numbers were collected for the pet trade and exported to Europe, Japan and the USA. The common name of this snake is derived from its habit of coiling into a tight ball, with the head hidden within the center, when threatened. Once so situated, it is difficult to uncoil the snake, and it will remain so even if rolled about (not recommended!). However, some ball pythons surprise attackers (and annoying keepers!) by biting savagely when disturbed. Actually, a number of other pythons and unrelated snakes utilize a coiled defensive posture, but in none is it so well developed as the ball python. I’d be happy to answer any questions you might have concerning ball pythons. Please write back with specifics when you have a moment. How and where can I obtain live rats or mice for my Ball Python, and what else do they eat? Hello Rocky, Frank Indiviglio here. Thanks for your interest in our blog. Mice or, for larger snakes, small rats, provide a complete diet for ball pythons (the longevity record, a 51 year old animal kept at the Philadelphia Zoo, was fed only mice and small rats, as were most other long-lived ball pythons). However, live rodents should never be offered. Invariably, the snake will be injured by a bite, which usually becomes infected and is often fatal. During many years of fieldwork with a variety of snakes, I have come across a great many individuals that bore serious injuries inflicted by rodents and other prey species. Also, in the close confines of a terrarium, a live rodent is often perceived as a threat rather than as a food item. Many snakes refuse to take live prey in captivity…the situation is nothing at all like what occurs in the wild when a snake is searching for food. All ball pythons readily take dead rodents in captivity. Good luck and please write back if you need further information. Well done on this article. I learned some things I didn’t know about ball pythons and I’ve been working with them for many years. It’s great that you push feeding pre-killed rodents. I’ve seen too many snakes get injured from rat bites. I wrote an article about ball python care. If you get a chance to read it, let me know what you think. Your article is quite informative and well written, thank you for the reference. I’ve always been advised by veterinarians to thaw food in a refrigerator whenever possible; avoids some of the same bacterial concerns as arise when our own food is quick-thawed. I’ve not looked into this further, basically just followed their suggestions. Snake owners sometimes are interested to learn that the appetites of ball pythons (and others) may be governed by “internal clocks”/circadian rhythms, even several generations removed from the wild. This may cause them to cease feeding despite local environmental conditions being favorable…gharials that I cared for at the Bronx Zoo ceased feeding during the Pakistani winter, even 17 years after removal from their natural habitat; sambar (large Asian deer) in NY continue to bear young in the dead of winter here, despite having not seen their native southern India for many generations, and so on. Thanks Frank. Your insight is much appreciated! My pleasure…I look forward to hearing from you in the future. My ball python was scratched or bitten by his prey…a medium rat. He took his prey around the ribs instead of around the neck. Leaving him now with a wound above his eye…now his one eye is cloudy and the other one isn’t his scale above the eye was where he was injured. can you tell me whats wrong with him or what we can do to clean it or will he make it? Hello Mindie, Frank Indiviglio here. 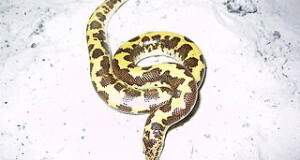 You’ll need to bring the snake to a veterinarian, as rat bites frequently become infected even if the cut itself appears small. Ball pythons always, without fail, accept dead prey and should never be given live rodents. In the highly unlikely event that live food is ever necessary, it should be in the form of rat pups only. Constictors do not grab prey by the neck instinctively – prey is bitten on any part of the body that presents itself as a good target. Many if not most of the hundreds of wild snakes I have handled bore scars inflicted by prey, and I have come cross numerous individuals, including anacondas in excess of 16 feet, that have been killed by infections that had apparently spread from wounds received in the course of feeding. Please be in touch if you need information on switching your snake to non-living food items. Hello Brandon, Frank Indiviglio here. Thanks for your interest in our blog. Ball pythons are found throughout much of Africa south of the Sahara Desert…please see Part I of this article for specific countries and exact range. Hi frank, I am having trouble getting my ball python to take live prey, he refuses dead prey and has since I got him a few months ago, its been almost 2 weeks, he’s not shedding, temp and humidy aere perfect, just ignoring the prey, I would greatly appreciate your help. I have tried frozen n thawed mice and rats and live mice all different sizes. Could a liv e gerb I’ll poissibly help? Thanbk you for taking the time to help me with this. Hello Reid, Frank Indiviglio here. Thanks for your comment and interest. Ball pythons routinely fast for long periods – much longer than other species; these seem related to conditions in their natural habitat, but we do not have definite proof of that. Captives eat far more than wild snakes, and expend little energy in hunting, and so “fill up” easily. A 3-4 month fast, sometimes even longer periods, do no harm if the snake is in good weight – they are very effective at matching their metabolisms to food intake (like hibernating while active, in a sense). A good way to tell if a snake is too thin is to check for a protruding backbone – this will appear as a distinct ridge along the back – visible and different from just the outline of the bone. If this does not show, then just try feeding every 10 days-2 weeks. Try leaving the food in overnight, or hiding it within a cave or other shelter. Live food should be avoided, as the snake will be injured in time – almost inevitable with any food other than live pinkies; also in the confines of a cage, live food can be intimidating, as it is not presented as a snake would find food in the wild, this stresses the snake and keeps it from feeding for an even longer period. I wouldn’t suggest gerbils, even dead ones…if the snake does eat the gerbil, it may then refuse all foods other than this one – always best to stay with easily obtained food items (In a zoo collection, cared for an anaconda that only took muskrats – a real pain!). Thank you for your help frank, I have ttried every trick heard of trying to enrtice him to eat a prekilled mouse, do you possibly have any ideas of how to present it differently? I will continue trying to present prrekilled but like I said he has never eaten any other than live I have always tried pre killed as well as live and he has only ever struck at live. Thank you very much for your help it is greatly appreciated. Thanks for the feedback. One old trick is to make an incision in the head area of the mouse, the increased/different scent is said to make a difference; I’ve had this work for hatchlings of several species, less useful for older animals. Tong-feeding, moving the mouse very slowly, stop and go type of motion, esp. at night, is worth a try. But assuming he’s not emaciated I think he’ll get hungry enough in time to take dead prey. I can’t recall a ball python that did not switch eventually. I’ve tried them all, ill give it a few days- a week, I willl definetly keep you posted. Thank you very much for you help fran k. I would love to be able to switch him to dead instead of live. For a snake that hjas never eaten ldead is it generally difficult? He’s still a 20inch hatchloing. Thank you for your insightful help and your fast responses. My pleasure; it can be difficult, but much easier for a captive born, young snake; the need to put on size should push him to feed. What is the lowest tolerable temperature for a ball python? Everywhere I read says about 20 c only at night and only for winter cooling for breeding, but I hope you know some more obscure information about the species tolerances in the wild. I ask because I am interested in this species and if I will keep it, it will be put in a room too cold for the winter, up to 12 c ambient temperature. How much a heating pad can warm a plastic tub? What can I manage with restricted ventilation and insulation? Also, if a snake is accustomed to dead prey, and once eats live, will it be fixated on live and not be able to eat dead as easily again? Finally, how big the enclosure should be? In most resources it is said 2/3 the length of the snake, but in a few I have read as long as only the 1/2, which seems to me too small. They do not experience a cool season in the wild..the range is large, so there are variations in different areas, but 23 C is about the lowest used for a night temperature by most successful breeders; they do not need a winter cooling period. A hot basking site and warm ambient temperature should be available year-round; please see this article for temperature details. hey are hardy, and can be kept under other conditions, but warm year-round is the safest option. They can adapt to small enclosures, but this is not ideal. the minimum size I’d suggest would be at least as long and as wide as the snake’s length, but larger is preferable. The heat you can maintain with a pad will depend on enclosure size, pad strength and room temperature. Some experimentation is usually needed, especially in very cold rooms. All will take dead prey in time, regardless of past experiences. Thank you for the help. So I was between a ball python or a hibernatable colubrid. I want to have that large boid snake in a small package, but I cannot find cold hardy species with this description. Rosy boas might be, but they are rarely available in Europe where I live. Most people keep ball pythons in small enclosures, so your advice was quite enlightening. Will it be more active in the enclosure you specified? Will it display any interesting behaivior which it couldn’t do in a smaller one. How much tolerant are these snakes in cold conditions? I don’t want to freez my snake, but in case of some immergency happening can it handle it for a short time? I have read that they develop respiratory infections easily, is that true, or true only for already stressed animals? I don’t believe that I will succeed using only an undertank heating pad or a small lamp. It seems too difficult to maintain temperature. Most probably I will end up with a small colubrid. My pleasure…great points to raise, thanks…others will be interested as well. Ball Pythons are not active in general…they go through long fasting periods, probably tied to circadian rhythms (please see this article); always best to provide as much space as possible, but you will not see much activity outside of breeding behavior in pairs, etc. 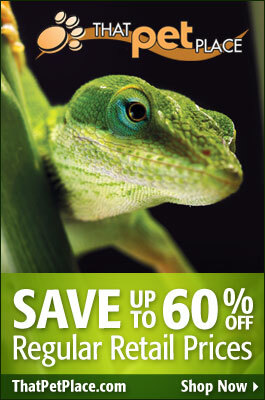 The best chance for interesting observations is with small snakes that have high metabolisms and actively seek food….especially those that feed on fish, invertebrates, kept in large terrariums, planted if possible, you’ll see a great deal..and most are ignored by hobbyists and zoos..lots to learn. My favs are the NA garter snakes; also water snakes (N American Nerodia – and European – Natrix), Green Snakes Please see articles below. I have a related question though. An acquaintance of mine is keeping two juvenile ball pythons together. Others are saying to him it is no problem and others that he must separate. I have searched on the web but I found only second hand information. It is said for example that they can become cannibalistic if young, but no one has wittnessed such behaivior. What is true? Glad the info was useful. He separates them when feeding, thanks.